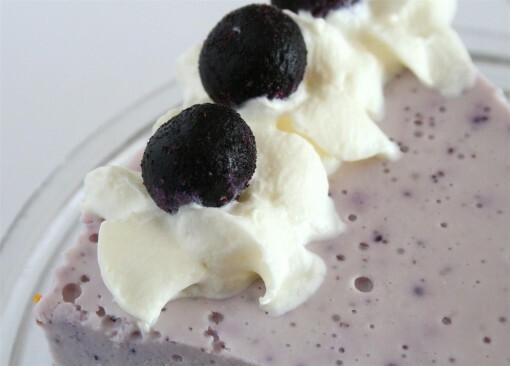 No Bake Blueberry Cheesecake was posted on January 11th, 2012 and is filed under Desserts, Kid Friendly, Low Carb, Protein, Recipes. This entry has 15 comments. You can follow any responses through the RSS 2.0 Comment Feed. I am about to share with you one of my favourite desserts in the world. The funny thing is…I’m not even that crazy about cheesecake. I like it, but it’s just too rich after a couple bites. However, this cheesecake is not only delicious AND healthy…it does not have one gram of cream cheese! 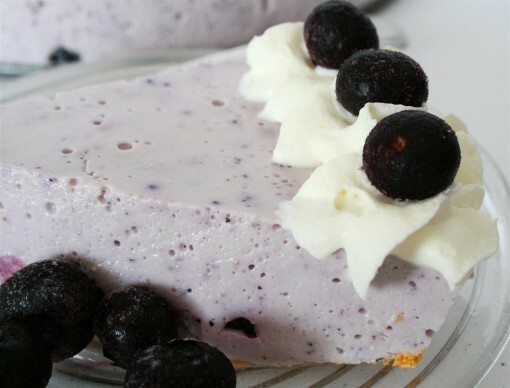 Not only is this cheesecake low fat, low calorie, and indescribably delectable…it is a protein packed recipe! Seriously, this is a great post-workout food (if you so desire). The whole family loves this recipe and we love to make it for company! Mix together the gelatin and the stevia, sugar, and salt. Add the eggs (first beaten with a fork) and the milk (you can use dairy milk or non-dairy). Cook on top of the stove until gelatin and sugar are dissolved and the mixture thickens some. Remove from heat and cool some before putting in the blender. Add the cottage cheese and vanilla and whirl away until smooth. Add the yogurt and blend again. Take mixture out of blender and fold in your blueberries (fresh or thawed). Pour into a spring form circle pan that has been sprinkled with graham crumbs. Chill until firm (which takes several hours). 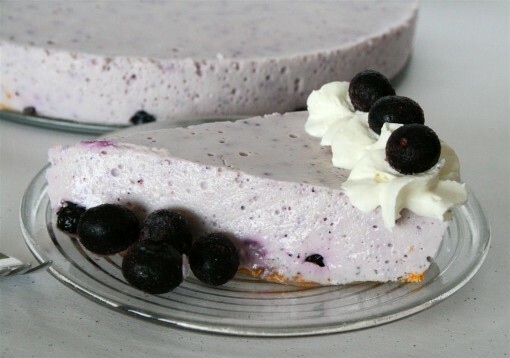 Serve with fresh blueberries and maybe a little whipped cream! Serves 8. Now…if you don’t like blueberries? I have a fantastic alternative for you! How about a slice of this? It’s the No Bake Vanilla Cheesecake! This is a slightly different version of the above recipe, perhaps with a little richer taste. I’m a big fan of both! Look what landed on my doorstep the other day? Of course, that made my day…I love LaraBar and I love cappuccino. It’s only natural they should get together. Thanks LaraBar! Nice, I need to get some gelatin to try it! Yummy! This looks so pretty! I was actually so surprised when I first blended up cottage cheese – it’s amazingly good with fruit. I love the blueberries in yours :D I’m kind of sad that Larabar has no idea who I am :( Haha, oh well, I usually make my own Larabar type snacks, I couldn’t afford to buy all the ones we regularly consume! What an amazing cheesecake minus the cheese and no baking required. That’s awesome! It looks super tasty to. 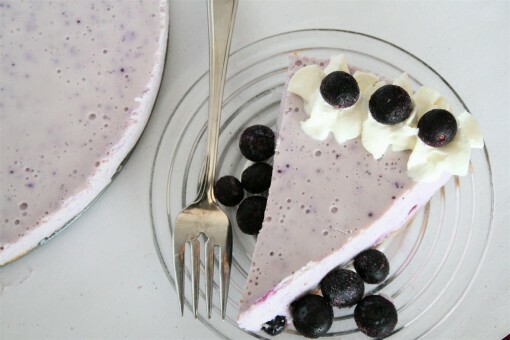 Using blueberry yogurt as well as fresh blueberries does tell me that this one is packed with blueberry flavor. I also like that you do not have to bake. As shown in your picture the recipe did yeild some wonderful results-delicious post! So glad you all made this dessert for us…I would not have believed it was possible to make such a delicious creation! My daughter is a cheesecake fanatic! I haven’t made her a fruit based cheesecake, but I know she’d love yours….mmmmmm. I would, too! I’ve almost always liked cheesecake because of it’s rich sticks-onto-your-lips kind of dessert (I love those kind of desserts; just have no idea why!) but never make it because I simply don’t fancy buying cream cheese. This is a great recipe alternative! looks delicious! I love cheesecake…one of my all time favorites. 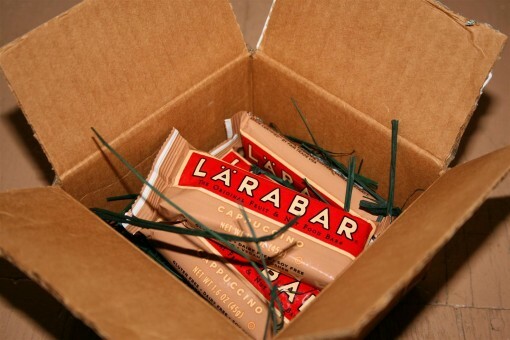 Also love LaraBars…can’t wait to try this flavor, I hadn’t heard of it before. So excited to try this recipe!! :) thank you for sharing I have a couple of questions. What is our vanilla? Is it like vanilla extract? Jessica~ That just says pure vanilla…so yup, just vanilla! We just like to buy the good stuff and not the artificial flavouring, but both work! Priya – I wouldn’t double the yogurt, however you can use lactose free cottage cheese. They’re coming out with a lot of lactose free dairy products theses days and the results should stay the same.